Whippany, N.J. (December 6, 2017) – Bayer is proud to announce that over one million meals have been donated to hungry families across America. Earlier this year, Bayer, a global leader in innovation and agriculture, and country music superstar, Luke Bryan, launched the Here’s To The Farmer campaign, asking Luke’s fans across the country to give thanks to American farmers while also helping hungry Americans by sharing #HeresToTheFarmer. 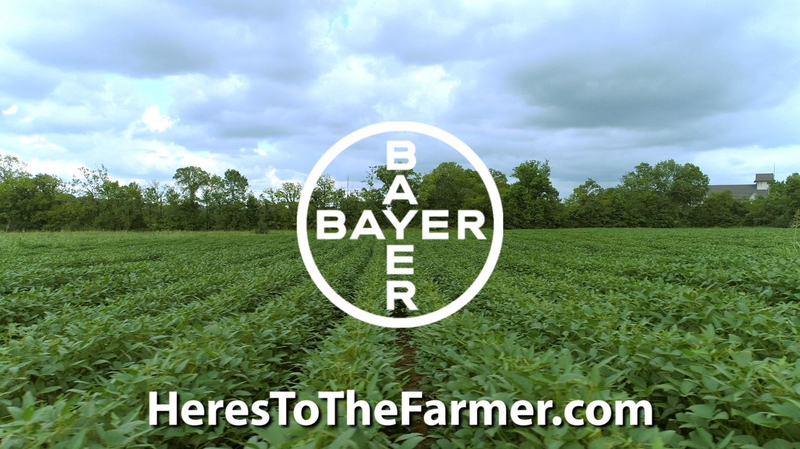 For each hashtag Bayer donated one meal* through Feeding America®. 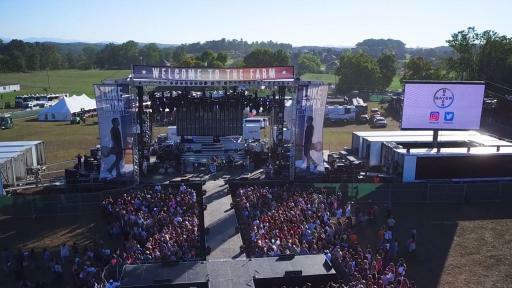 The campaign, coinciding with the 2017 Bayer Presents Luke Bryan Farm Tour, set a target of 1 million meals donated before the end of the year. 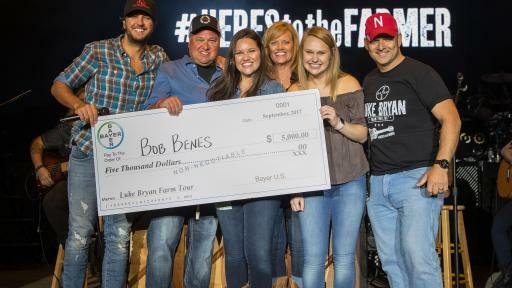 With the help of fans, farmers and communities across the country, the Here’s To The Farmer campaign reached and surpassed this goal in less than four months. 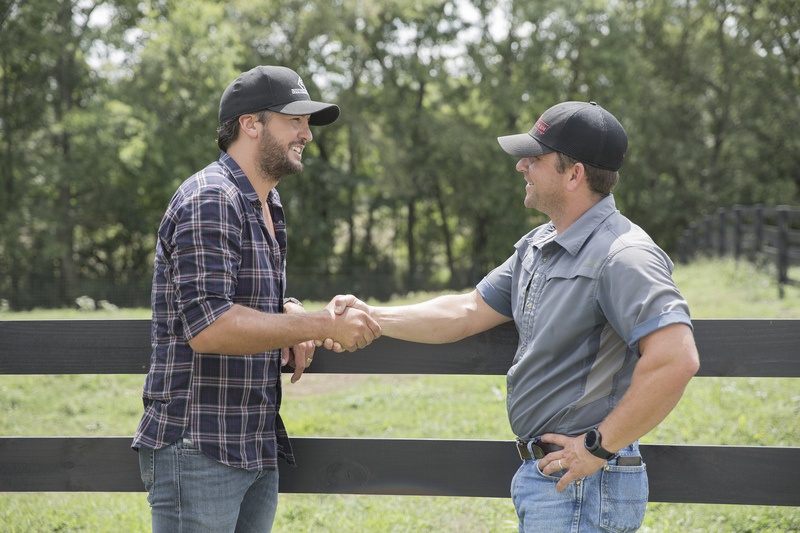 Here’s To The Farmer became the rallying cry of the 2017 Bayer Presents Luke Bryan Farm Tour which visited six farming states across the Midwest. The campaign saw a tremendous level of engagement across many unique audiences including social media, television and state Capitols across America. In fact, each Governor from the six Farm Tour states (Nebraska, Kansas, Iowa, Indiana, Illinois and Missouri) issued official Proclamations declaring the day of the Farm Tour as “Here’s To The Farmer Day” in their respective states. 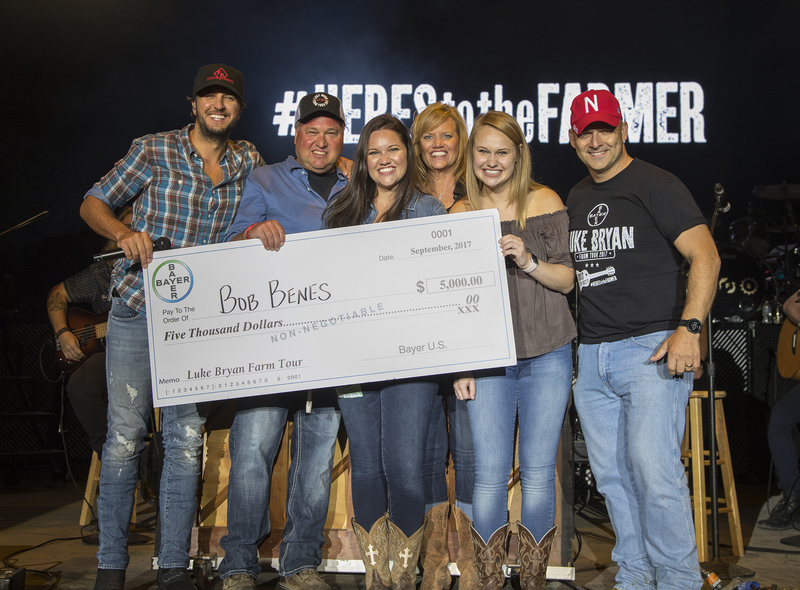 Bayer’s Here’s To The Farmer campaign also helped tackle hunger locally by donating over $10,000 to area food banks, and by honoring a local farmer on stage with Luke Bryan at each location. * $1 helps provide 11 meals secured by Feeding America on behalf of local member food banks. Bayer provided the financial equivalent of 1,000,000 meals in conjunction with the promotion from 09/21/2017 to 11/30/2017. Country music superstar Luke Bryan is a two-time Academy of Country Music and Country Music Association Entertainer of the Year, a five-time host of the ACM Awards and the 2017 Super Bowl LI National anthem performer. He has sold over 12 million albums, 40 million tracks with three Billion music streams. He has had 18 career No. 1 singles, ten of which he co-wrote, and has headlined arena tours and sold-out stadiums across the U.S. performing for more 1.5 million fans on tour this year. 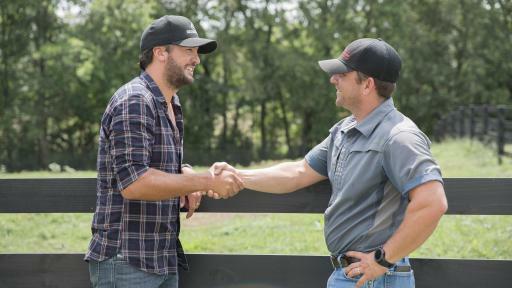 This Friday, December 8, Luke will release his sixth studio album What Makes You Country. In February Luke will launch the “What Makes You Country Tour” and will join Katy Perry and Lionel Richie at the judges table for American Idol on its first season on ABC in March.